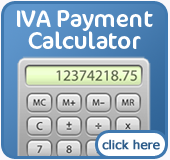 IVA stands for Individual Voluntary Arrangement. It is a legal and government approved method of resolving debt that avoids the consequences of bankruptcy. If you owe over £15,000 to three or more creditors and can't afford to meet the repayments then you may be eligible for an IVA. If accepted, up to 75% of your debt can be written off. Creditors often find this appealing because they are likely to recuperate more of your debt through an IVA than they would if you were to declare bankruptcy instead. The whole IVA process will be negotiated through an Insolvency Practitioner (IP) who will guide you through every step of the application process and support you with financial guidance throughout the length of your IVA. A repayment proposal will be put to each of the creditors who will then vote to accept or decline the IVA. If creditors representing at least 75% of your debt vote to accept your IVA, the remaining creditors are legally bound to comply with those terms. The typical repayment plan for an IVA is five years. 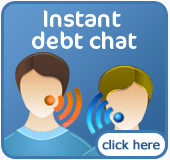 During this time you will not be charged any interest on your debts, and monthly repayments are calculated to be manageable and realistic. IVAs are also reviewed and, in certain circumstances, can be amended to suit your specific needs. Under the terms of the agreement you will undertake to contribute as much as possible within your budget. Perhaps the greatest advantage to an IVA is that, unlike bankruptcy, you can still hold control of your home. An IVA proposal could exclude your property altogether, recommend a re-mortgage, or offer income-based contributions for a longer period instead of the debtor's equitable interest in the property. Another advantage of an IVA is that it is a completely private agreement between you and your creditors. Bankruptcy information is advertised in local newspapers and the London Gazette while an IVA is not. An IVA could be an answer to your debt problems. It is not a quick fix but a long-term solution that will give you peace of mind and allow you to walk away debt free in five years or less. For more information and advice please call us to speak to an IVA specialist. To get the best information for your circumstances it is always recommended to speak with a qualified adviser. We could be helping you in a few short minutes by having a friendly, no-obligation chat : Find out about an IVA here or call us on 0800 043 3329.